Reverses of the two cards. 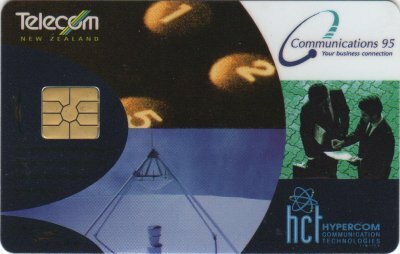 These two cards were the first Smartcards introduced into New Zealand. 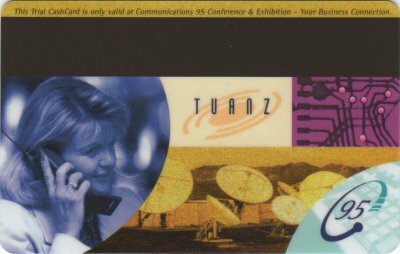 The chip held $5 worth of value for delegates at the conference to use in vending machines or Credit Card Telephones. 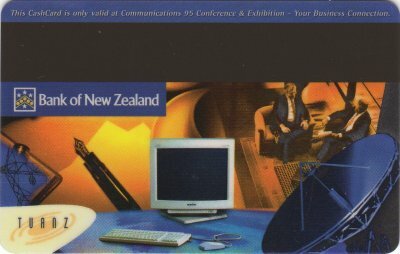 The reverse had a magnetic strip which contained the delegates details for swiping through a card reader at each of the Exhibitor's stands. 2,000 of these were given out to delegates. 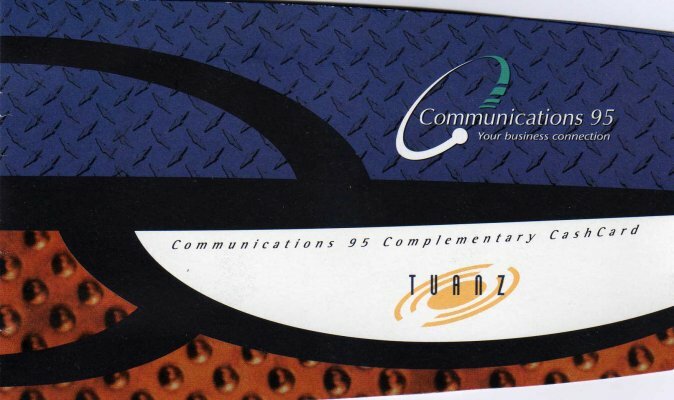 The other 5,500 were used by BNZ & Telecom for promotional purposes. 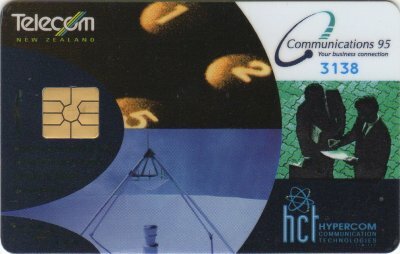 Telecom gave theirs away in a folder, illustrated below, to purchasers of their Phonecard Catalogue. The card issued in this folder is different to the original, as it had a sequence number overprinted on it, see below.